The number of Russian weapons and military in Donbas, ceasefire violations, illegal crossing of the border and other violations are not a sign of Russia's desire to resolve the conflict, Ukraine's Permanent Representative to the United Nations Volodymyr Yelchenko has said. "The only way for Russia to prove its declared willingness to de-escalation is to cut the talk and walk the walk," he said in a statement to the UN Security Council on the situation in Ukraine. "All everyday developments prove that it is only Russia and its ongoing military activity in the occupied territories of the Donetsk and Luhansk regions of Ukraine as well as in Crimea that constitute for now an unsurmountable obstacle for the peaceful resolution of the conflict," Yelchenko said. He suggested that members of the UN Security Council pay attention to the Russian military presence in and around Donbas. "Now the question: what do these numbers speak of in terms of Russia's real intentions? Do they show that the party in question wants to deescalate the situation?" 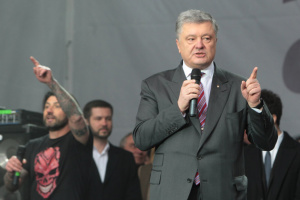 Yelchenko asked. He stressed that Russia had sabotaged the implementation of ceasefire agreements for 18 times. "During this period, there were over 54,000 cases of ceasefire violations. 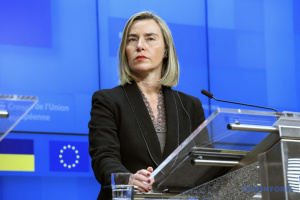 In almost 6,000 cases, the Russian forces used weapon systems prohibited by the Minsk Agreements," the diplomat said. Yelchenko reminded that in 2018 there were 153 cases of illegal crossing of the Ukrainian-Russian state border by automobile and rail transport carrying military goods, fuel, arms and weapons, armaments and munitions. 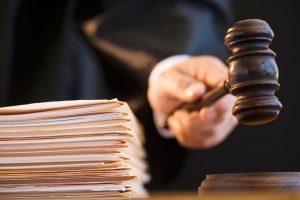 In 2019, Nineteen such cases have already been recorded in 2019, he added. "We still believe that a peacekeeping operation under the UN auspices can bring peace to Ukraine. We are ready for constructive discussion of this initiative. 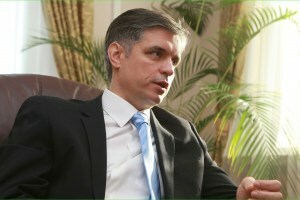 For Ukraine, it is a matter of principle that any decision on establishing a peacekeeping operation in Donbas extends its mandate over the entire occupied territory, provide for withdrawal of all foreign troops and mercenaries and their weaponry from the territory of Ukraine, as well as dissolution of all illegal bodies and structures," the Ukrainian diplomat said. 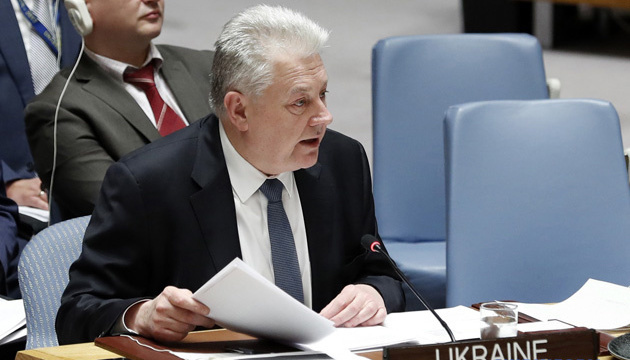 Yelchenko called on Russia to give up its attempts to misuse the UN peacekeeping toolbox in order to legitimize the gains of aggression in Donbas. He also stressed that Ukraine had sent 13 official written proposals with different formulas on exchanging Ukrainian prisoners in Russia and the occupied territories for Russian citizens who have been sentenced in Ukraine for crimes against territorial integrity and sovereignty of Ukraine. "No response. We care about our people. And Russia sends a clear signal to all their soldiers – we will not do anything to get you back home," he said. He stressed that the issue at stake was the fate of three Ukrainians captured and held in Donetsk for nearly four years now – Bohdan Pantiushenko, Oleksandr Korinkov and also Serhiy Hlondar, whose three-year-old daughter has never seen him.